I’ve avoided The Body Shop since as long as I can remember. I’ve always hated the smell of the shop and never come across a product that I’ve got along well with. Even though they’re meant to be amazing for sensitive skin, every product I’ve ever had has reacted with my skin. Recently, my best friend Amy couldn’t stop raving about their make-up range and how they’ve really worked on it as a company. With the new information to hand, I set off on a mission to test-drive their stuff. In January, I treat myself to a birthday solo trip to Meadowhall and it was the first shop I visited on my crazy shopping spree. Upon entering, I was greeted by a lovely member of staff who left me to it as I browsed the make-up section and she stocked some shelves. I was in the store for a good 10-15 minutes and the assistant was incredibly helpful. Normally I hate it when they try to use their sales techniques on you (I’ve been there, done that myself) but this time it was different. As my knowledge of their products was very limited, I was grateful for the help! I asked about the mascara range as well as their brushes. Whilst I was browsing, she also pointed out the gift box sets they had out. Apparently it is all discounted shades but a great way to try new products. 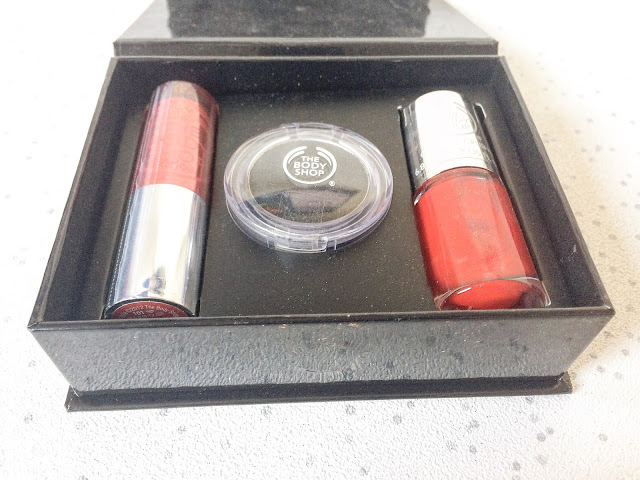 In this box, I received a ruby red nail polish, a black shimmer eyeshadow and a matching ruby red lipstick. For me, I’d say they are three staples of any girl/woman’s make-up kit. Red nails and lips will never go out of style and will more importantly make you feel like a queen. What is it about red lipstick that just boots your mood instantly? I’ve been looking for a decent red nail polish since trawling through my current collection and realising I have very few nail products that are cruelty-free. I have one red currently by Essence but I thought it would be nice to have one to spell it with seeing as it’s my most-used pot. As soon as I saw the pot with it in, I knew I had to buy it. 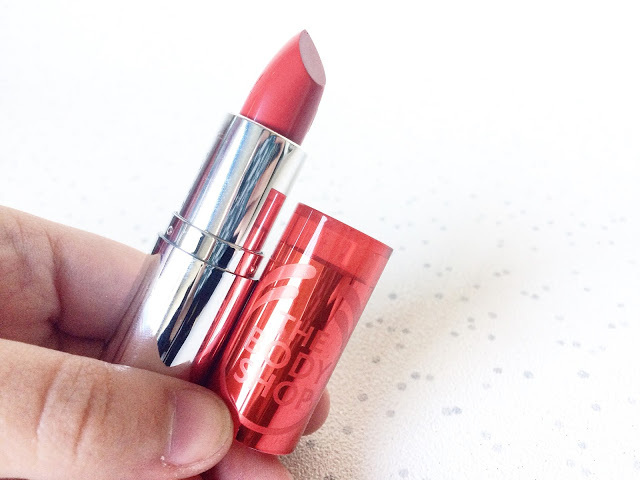 Relish the Moment (shade 120) is pretty much the perfect red. It’s bright, vibrant, glossy and quick-drying. I’ve read that it can chip after a couple of days but just make sure you apply a decent top coat! 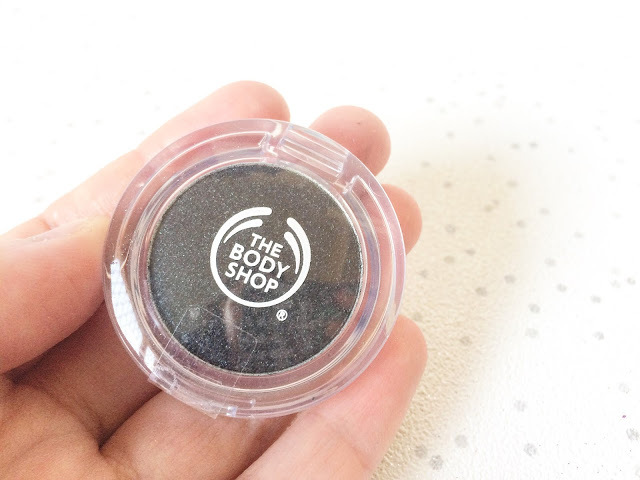 The next treat in the box was this gorgeous black shimmery eyeshadow. It’s not often I wear make-up this dark anymore (I stick with nudes and browns for a daytime smokey eye) but when I go out socially, which is incredibly rare, I opt for a grey-black smokey eye. Glittery Night (shade 020) is a great option to have in my make-up bag. Instead of applying it to the whole eyelid, I’ll probably use it in the crease or to add a bit of extra sparkle, as a setting powder on top of my eyeliner. 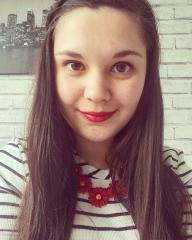 As I said previously, wearing red lipstick gives me a extra boost of confidence whenever I need it. Red Siren (shade 101) is a creamy, vivid shade that lasts all day long. 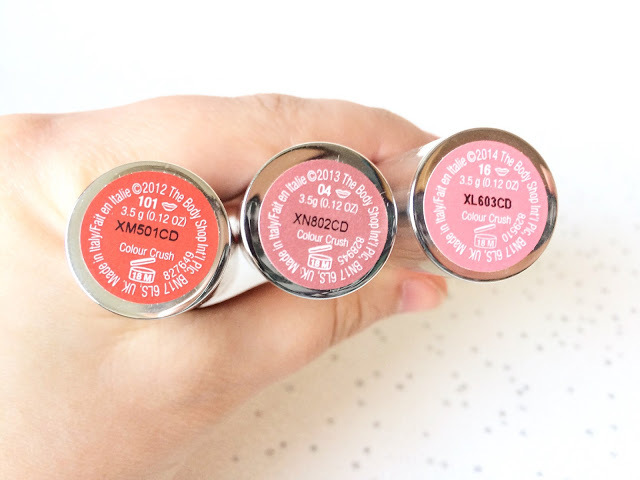 I often struggle with lipstick as it can be very drying; however, this combats that! I normally apply a layer of lipbalm, then lip primer before applying this shade. I’ve also been complimented on how well it matches my skintone too: win win! Despite just going in for a couple of products, I just couldn’t resist more lipsticks! Once swatching, I realised how bright the colours looked compared to many others that I have! These two lipsticks are more glossy than the red that I picked up and don’t last as long. However, with a light pink shade, I never expect them too! First I picked up shade 04 (not online) which is a sort of frosted pink. It’s very sheer but I love the colour for work! The second shade I got was shade 16 (not online); this is a very sweet, pale pink which in all honesty is not my favourite. I wear this very occasionally but I really enjoy trying different shades to see if they suit me or not! I struggle to find the perfect pink for my complexion so I guess I’ll just keep on looking! Sorry for the picture quality here; my camera and I fell out! 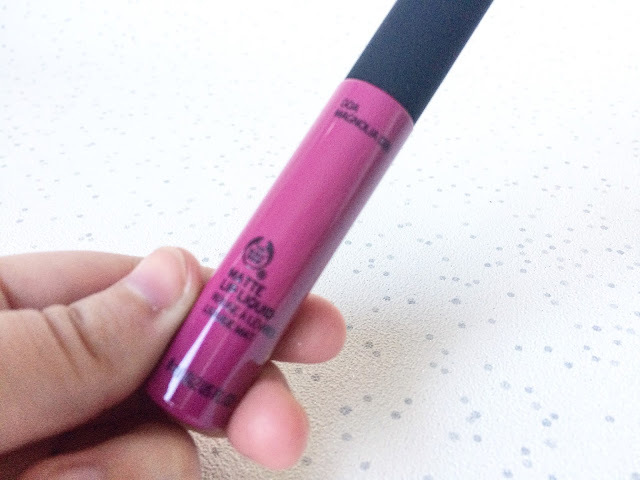 The final item I bought was Matte Lip Liquid in 026 Magnolia. Let me tell you, I love this product. Matte lip products tend to make my lips very dry and not pretty but this is the complete opposite. It goes on like a very thick lip gloss and stays creamy throughout the day. There are twelve shades to collect and I’m very tempted to go and buy more! 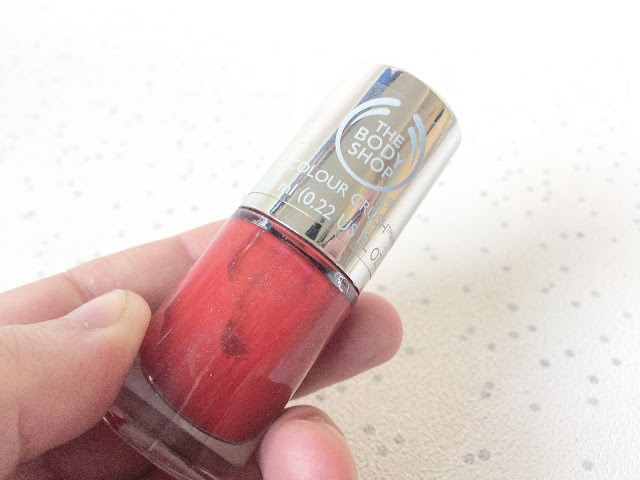 This colour isn’t something I go for on a daily basis but when I need a little pick-me-up and don’t have much make-up on, I stick this on and my complexion wakes up! Overall, I was really impressed by the quality of the Body Shop’s make-up; I thought for a high-street brand, most products felt high-end. The next step for me is to try their brushes and face products which I intend to do once payday comes around again! Have you tried any make-up from the Body Shop? Let me know what you’ve picked up below!